Does love really have to be complicated? How will you know when you meet the right person? Find answers to these questions and more in this quick read! Have you ever felt like everyone around you is more spiritual than you are? No matter where you are on your spiritual journey, the practical keys in this interactive book will help you go deeper. Get ready to unlock the next door in your spiritual journey over the next 30 days! Travel with me on a journey through machine guns & mafia, romance & heartbreak, dreams & struggles and find keys to unlock your destiny all along the way. "Beth Olson is a great friend of mine. I know her well. In her new book, you can follow a life story of difficult decisions she made in following her passion, knowing God intimately. You'll also learn how to apply what she learned for practical use in your own journey. I wish the world had more than just one Beth Olson in it." "Diary of a Missionary Kid by Beth Olson is a must read for anyone who desires to live a wide eyed adventure with God. The journey of Beth Olson is the ripe fruit of a life courageously and honestly lived." Has your heart been filled with longing to know how to enter God’s presence? Has there been a desire to not just touch His presence, but learn how to cultivate and abide in His presence? Come On In To Papa’s Presence teaches theologically and practically, with Scripture and stories, how to live life in Papa’s presence. Through this book, allow the Holy Spirit to take you on a journey of overcoming barriers that keep us from His presence and experiencing the depths of His love. As you go on this journey, don’t just read about the encounters in this book, but invite the Lord to take you into your own experiences with Him. If you’ve never experienced His presence, let this be a tool in the hand of God as you begin your journey. If you’re already acquainted with God’s presence, let this book be an invitation to go deeper than ever before. Zoe's 2nd Book Is Now Available! The Stick Family Book is a comedic story based off of The Stick Family Video Series created by my youngest son Elijah. If you have reluctant young readers, you will definitely want to put this book in their hands. A few years ago, five kids from Iowa (including Zoe & Elijah) started an artist collective. They decided to write and illustrate a book together. Each author created their own character, and then they began weaving their characters together. After encountering Super Love, each character discovers their true identity and starts overcoming evil with good. 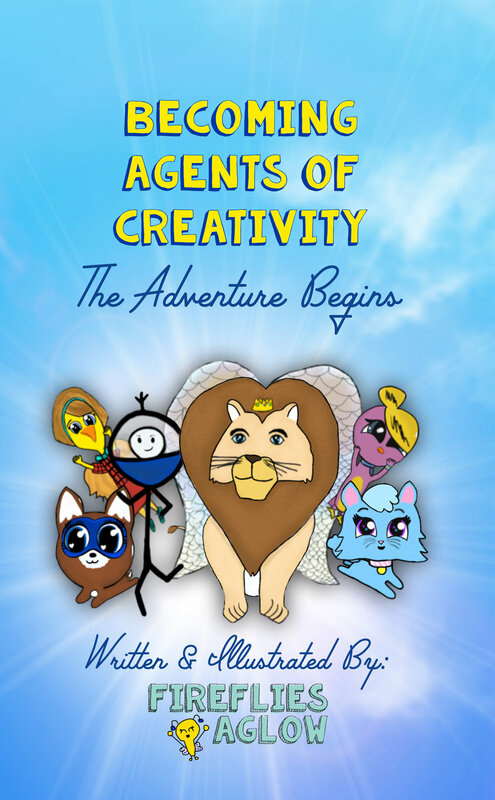 In the hope that this adventure will inspire young authors and illustrators to create their own stories and adventures, this book is titled Becoming Agents of Creativity.